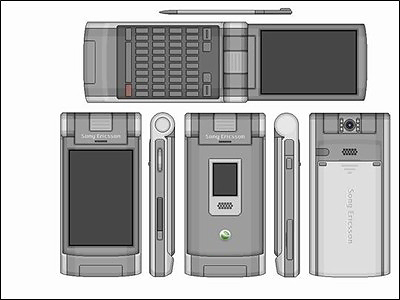 These concept drawings of the next iteration of Sony Ericsson's P series device were posted in a forum on a site called Neowin.net. The person who posted them said he found them on "some website", and he wanted to know, is one of them the real thing? The second one is a nice illustration - but it doesn't have the lines of Sony Ericsson's designers. And it's obviously based on the slideout keypad concept popular right now among PDA-centric mobile devices - something I trust (hope) SE won't stoop to, because of its obvious ergonomic limitations, and basic lack of aesthetic elegance. The concept in the top drawing shows more promise. 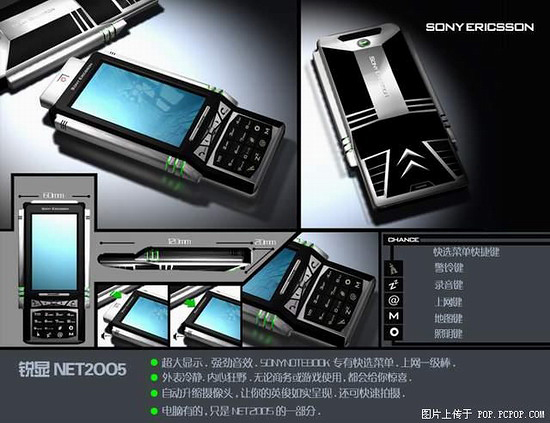 It looks like something designed by Sony Ericsson; in fact it looks a lot like many of Sony's PDAs. The keyboard is roomy, and the screen obviously flips around to turn the device into a mini tablet. All of which is neat. More important, it looks like it could be used as a phone. Except for one thing: where's the keypad? If the keypad is meant to be virtual, then that means the user can only dial while in tablet mode; and talk with a considerable slab of screen against his face. All of which leads me to believe that this drawing could be, maybe, possibly, perhaps, conceivably, a legitimate prototype from Sony labs. But, if so, it's an early one, and the finished product will surely look . . . not quite like this. Still, though . . . .